To grow my blog, I must network using social media. Or, so I am told. But, is using social media bad for your health? 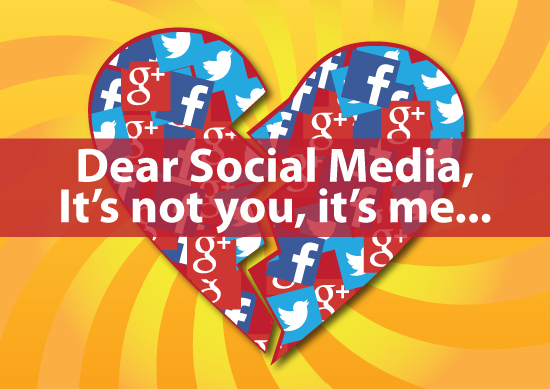 Are you guarding your heart against social media? I’ve had a Twitter account for a few years, but really didn’t use this social media as it is intended. I am a natural introvert, which is the opposite of ‘social’ media. Mostly, Twitter was linked to my blog. A tweet was posted when a new blog post was published. That’s about all I did. After a few years I had total of 62 followers. In social media terms that is LOL, literally. Six months ago, I started a little Twitter experiment. I used, engaged, tweeted, retweeted, and commented on Twitter to gain followers, and ultimately blog readers. In six months I went from a lonely 62 followers to 350 followers. Still, laughable, but it was an improvement. In the beginning, I found inspirational tweeps out there. (Tweeps, that’s what we call followers.) But, the more I used it, the more useless chatter filled my brain. Also. People can be really nasty when hiding behind a keyboard. The kind of stuff that makes my heart race. The million dollar question? Did I gain more traffic to my blog from Twitter? The simple answer is no, although it’s a little more complicated than that. I know some who say Twitter is dying; I don’t think that is so. There are a whole lot of people who still use it, and use it well. I am sure there are companies who have great success with it too. Right now, for the health of my heart, I am breaking up with social media. Why for my heart? Our heart is at the center of who we are. In Hebrew the word “heart” means “the essence of our inner-self, the totality of our thoughts, feelings and will”. According to Solomon, we live out of our heart. Proverbs 4:23 (NLT) is a plea from a father to his son to guard his heart from evil influences and wrongdoing. It’s easy to justify having to have social media links on my blog…everyone’s doing it, that is how people connect nowadays, or that’s how you grow your readership. Social media is not good for my heart, so I am taking a hiatus. I might be back some day, and if that day comes, I will be more careful about the chatter I listen to and follow. A social media hiatus for me means Twitter, is gone. Facebook, is gone. Google+, is gone. Instagram, will remain private. Pinterest, will remain public. It’s almost unheard of to say ‘no’ to social media, but it’s what I feel I need to do, for now. How are you guarding your heart against social media these days? Author’s note: I am not saying social media is evil and will be the downfall of human-kind or anything. So, if you love Twitter, Facebook, Instagram, whatever, keep doing it. And, of course, if you like to share this post on social media, you still can with the buttons below. I am just saying it’s not working for me right now. And, remember, what you post online never really goes away. Ever. Images: The heart graphic above was created by using images found at Vecteezy. 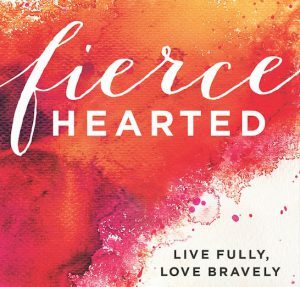 LINKING UP | With Holley Gerth, Coffee for Your Heart. Read amazing women blogging and linking up there! UPDATE: Um, yeah. So, I don’t regret pulling the social media plug. Taking that break to wipe the slate clean was liberating. Seriously liberating. I learned what I don’t want from my social media accounts, and how I want it to represent me. Deleting my accounts (particularly Twitter) to get rid of trolls was a good thing. It’s like weeding your garden in life…get rid of people who drag you down, are mean or toxic. It feels really, really good. After much debate, I started a new Twitter account. I have written rules for this account. Number one being only positive and creative tweets from my account. And, I will only follow others spreading positive, inspiration, or creative tweets. Because this world is full of enough negativity. Thanks Aliyah. Social Media just isn’t for me. It’s weird to say because everyone talks about it being a marketing tool, although I haven’t found that to be true for me. So, I am listening to my heart. I can tell from your writing that you are refocused, and renewed in your blog. When writing from the heart, it always shows. I feel you are doing the right thing. And proud of you for standing up for what you believe in. Who needs to hear from bullies anyway? The world can be so full of hate and hateful words. Your blog has always lifted me up and make me think. Keep up the good work, and words that inspire me to be a better person. Besides…we don’t need FB to talk. We can pick up the phone. 😉 Love ya.